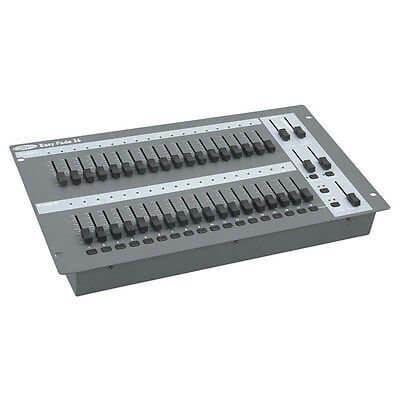 Up to 36 channelsThe Easy Fade 36 is a new and easy to use lighting desk. It is specially designed for those applications where users have to operate light which have no knowledge about DMX and programming such as schools, churches etc. The Easy Fade 36 is a double preset desk which has two banks of 18 channels. The Desk can be used either as a double preset 18 channel desk or as a single preset 36 channel desk. It is equipped with two Master faders and a grand master.The Easy Fade 36 has no programming facilities in order to keep it simple to use for any user.